I was a union carpenter in the late seventies. I began as an apprentice, but quickly moved to journeyman in a few months. The master carpenters of that era were all surviving servicemen from WWII. 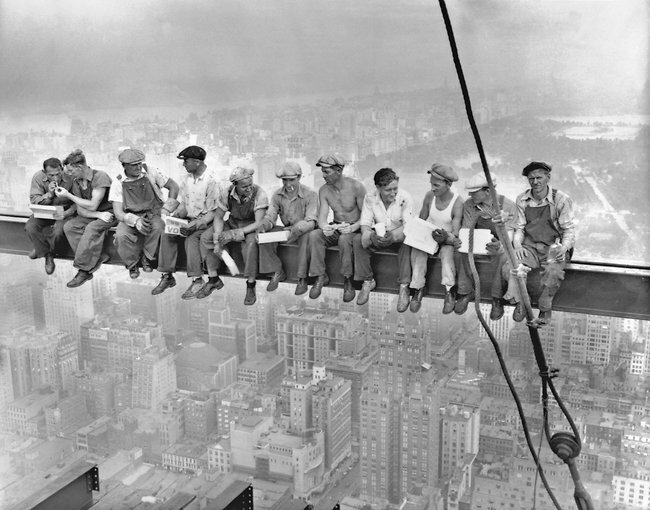 They had an entirely different perspective on life, risk, and construction. More like this. The construction veterans of the seventies approached construction as if it were war. All in, get it done, don’t screw it up. The world seems pregnant with war. I worry that the current generation of construction workers, coddled with bright vests, safety harnesses, and extra water breaks when it gets hot, will not be ready for war. Construction has changed, war has not. This entry was posted in Animal Behavior. Bookmark the permalink.